A monthly Welsh language religious periodical serving the Baptist denomination. The periodical's main contents were religious news and articles, alongside domestic and foreign news and poetry. Amongst the periodical's editors were Robert Ellis (Cynddelw, 1812-1875), John Jones (Mathetes, 1821-1878), Abel Jones Parry (1833-1911) and Owen Davies (1840-1929). 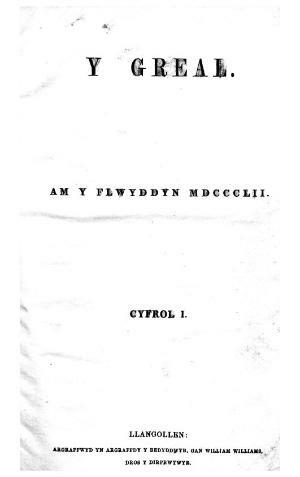 Associated titles: Y Tyst Apostolaidd (1846-1851).